https://en.bangringo.com/ - Just like photos, taking a video is also a fun thing because we can capture precious moments whether it is when being with family, friends, and spouses. Indeed, to be able to record the usual video equipment and most commonly used is to use a digital camera or cam recorder. But, in the current era would not hurt if you record a video with a smartphone considering the quality of smartphone cameras that have been increasingly qualified from time to time. There is an advantage that can be felt when you record a video using a smartphone, the video can be edited directly using the video editing application already installed on the smartphone. That is, you do not need to bother anymore must first move the video to a PC or laptop computer if you want to edit the video so it is certainly more practical and efficient time. Read too: 5 Most Popular Android Smartphone Benchmark Applications. 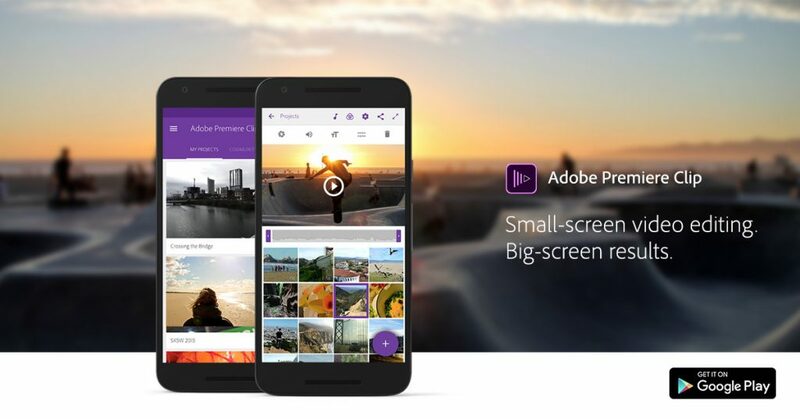 There are many video editing apps that you can now meet. But, do all video editing applications offer good quality? Not necessarily, Guys. You still have to be observant and selective again if you want to get an android video editing app that has full features and offers the best quality results. But now you do not need to be confused again in finding the best video editing application, because we already have recommendations for you. Opened with one of the best and most popular free video editing apps on the Play Store with the number of downloads touching 100 million downloads since the start of the release. Yes, Viva Video is a video editing app that offers a myriad of features and advantages over other video editing apps. In this app, you can edit videos by adding various effects, adding music, or adding funny and interesting stickers. In addition to editing videos from the collection on the gallery, you can also record the video directly through this application. If you record using Viva Video app, then you can create a cool video with slow motion mode ( slow motion ) which has a speed of 0.2 seconds so it looks more dramatic. In addition to making regular videos, you can also create videos from a collection of photographs which can then be made a kind of clip with an attractive collage look so suitable for the post on Instagram. Create a friend who often edits videos on an Android smartphone, of course already familiar with the video editing application Magisto. 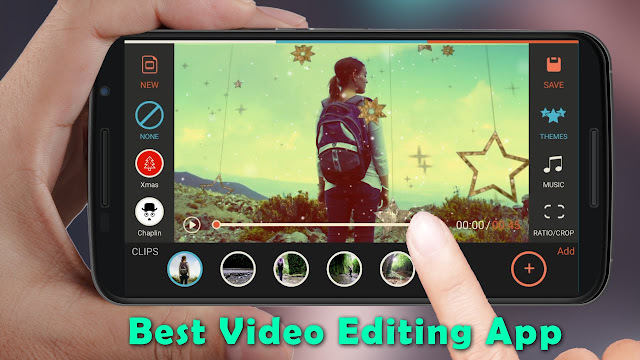 This one application also into the ranks of the best android 2016 video editing applications because it has won awards as the best video editing application Google Play editor editors. It's not surprising to see applications used more than 40 million users are awarded, because it Magisto offers ease in the process of video editing and equipped with a variety of interesting features. Through this video editing app, you can combine various video sets into a whole video that has an interesting storyline. 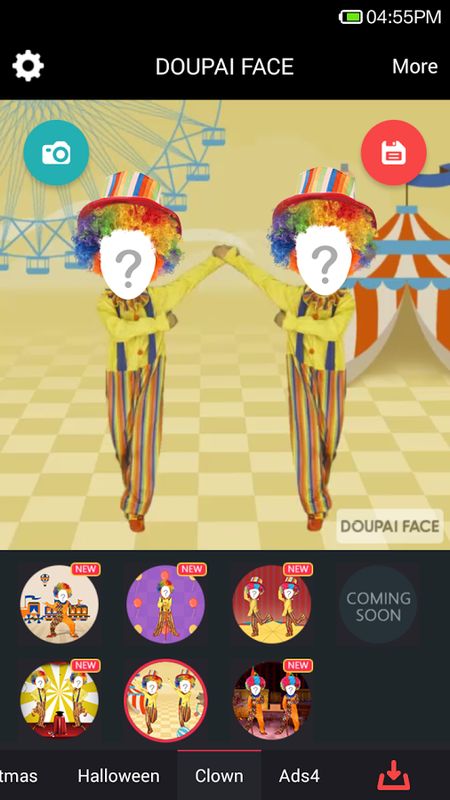 So that the video looks cooler, has also prepared features such as effects, soundtrack music, filters, transition display and other features. You want to make a video like Vine? Through Magisto app can also, Guys. You can create a Photo Movie through a collection of everyday photographs that you have for later combined into a video that has a story and a unique story. Next, there is a video editor application of the work of the developer In Shot Inc. To edit a more interesting video, especially on Instagram, this application is certainly very reliable and reliable. Armed with a fun video app for this Instagram, you can create or even edit videos by adding various emoji/emoticon characters that have a funny and cheerful look. Not only can add emoji, you can also add text, background color, filter or blur effect on the background. 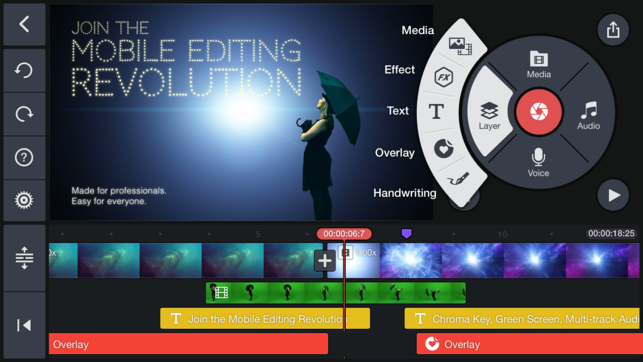 This one video editing app offers 4 main features. First, there is Video Trim, which is a feature to crop the video so you can remove the parts of the video that felt less necessary. Secondly, there is a Video Merge feature that lets you combine multiple videos to become a video that has a more unique outcome. The friend, of course, can add MP3 song as soundtrack video. In addition, through this application also combined video quality is as good as the video before being merged, unlike most other applications. 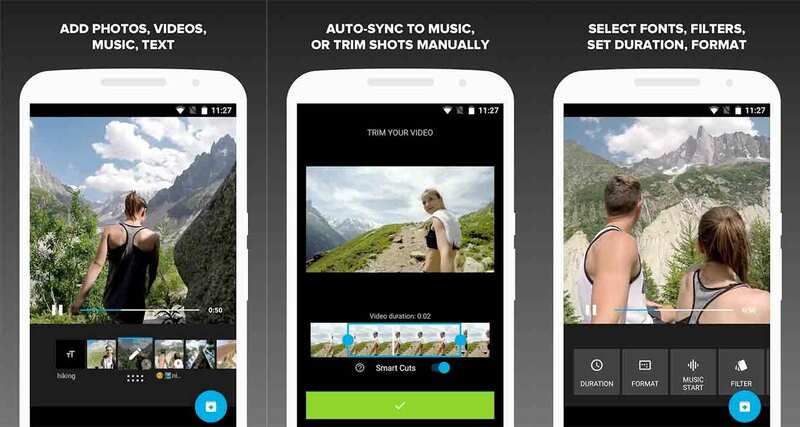 One of the most recommended video editing apps you can find on the Play Store. This application is an application made by GoPro where photography lovers buddy would have been unfamiliar with the brand. 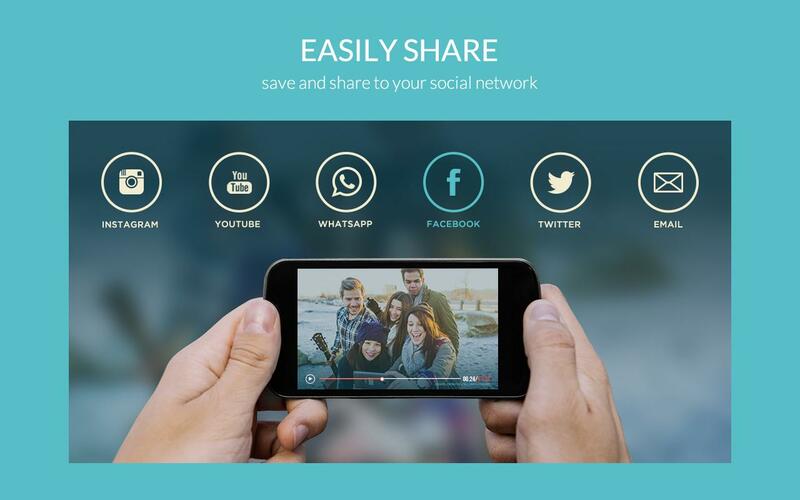 So no wonder, this application can make your video so cool with other views than others. One excellent feature that exists in this application is a transition display that can automatically synchronize to the rhythm of the music on the backsound video. If the MP3 music you use on a song has a slow rhythm, then the transition will look slow and regular. But if the MP3 music on the video has a fast rhythm, then the transition will look more energetic and vibrant. 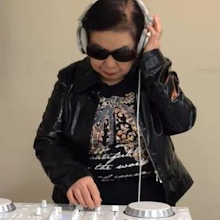 Anyway cool, Guys! 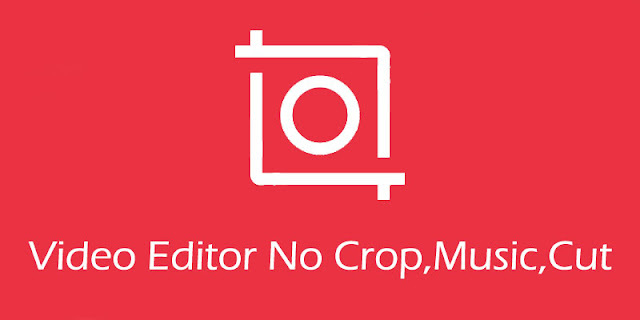 Moreover, this video editing application without watermark in it so the video more original look original. One of the other video clip creator apps that have good quality is KineMaster. 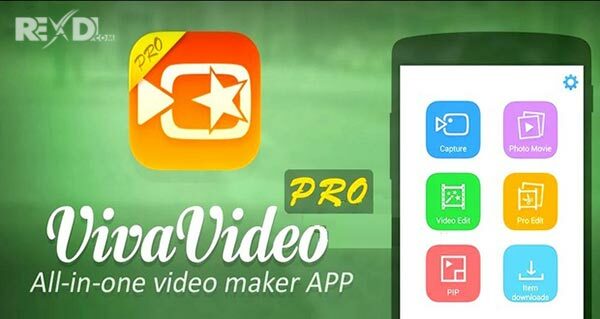 This application is also often called the best-animated video maker application where the existing features inside it can you use to create the video. In this application provided layer feature that will certainly beautify your video. But to be able to use the feature layer, your smartphone must support this application. smartphone specifications that can display layers among others that have Snapdragon 800, 801, 805, 808, 810, 820, 820, Tegra K1, Kirin 920 HiSilicon 3630 or Exynos 7 Octa 7420 chipsets. Doupai Face is a fun android video editing app that offers a simple process when you edit a video. To be able to make funny videos, you just need to upload photos to video templates that have been provided. But before starting to apply the photo, you can see first how the look and movement of the animated video. Read too: 10 Most Lightweight Browser for PC and Smartphone. 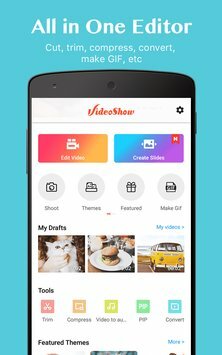 That's 10 best free android video editing apps without watermarks already https://en.bangringo.com/ summarize from various sources. Not only reliable to make a video for personal purposes, the application to edit the video above can also be used to create video Instagram and vlog video that is currently booming lately. With android video editing application is certainly more practical, because you do not need to use a PC or laptop computer to create an interesting video, unique and quality. Hopefully, the list of the recommendation of this application can be useful and good luck.